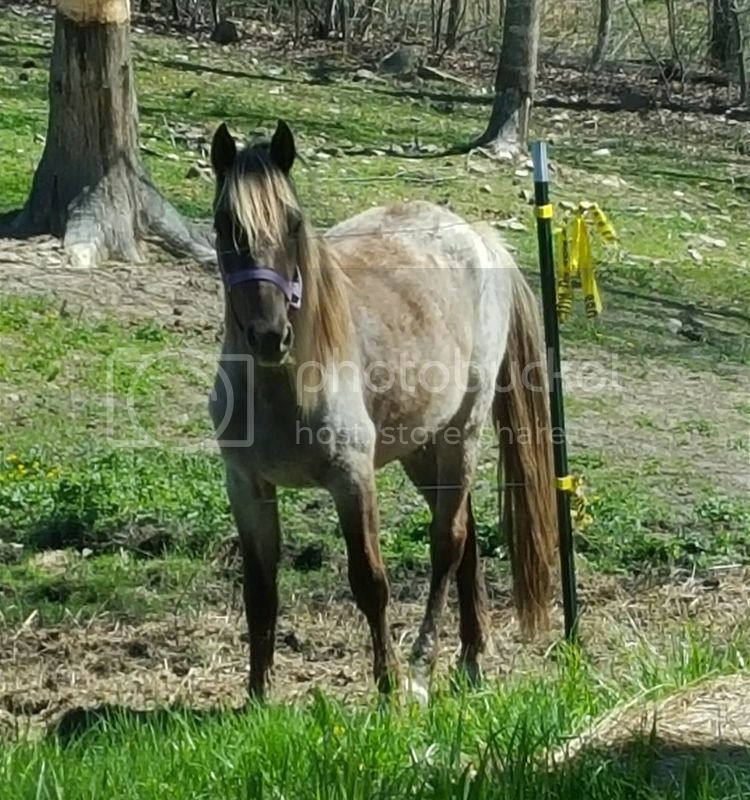 This is my upcoming 2 year old filly that I had thought was a chocolate and she ended up being a chocolate roan. She is in that shedding stage right now and I love it. I think it is sooo pretty and unique!!! I do, but I have trouble posting it on here.